At eC02 Greetings, we pride ourselves on providing market leading holiday ecards for business, Thanksgiving ecards, every day ecards and exceptional ecard designs for various events. Whatever the occasion, you are sure to wow your clients this year. Our exceptional designs really do make an impact on your clients. As part of our every day ecard range, why not send one of your customers an ecard from us that shows gratitude and thanks for their ongoing support and commitment. The ‘Gratitude’ image is truly inspirational and moving and will no doubt strike an emotion with your customers. The stunning image of a boat at sea with the sun setting softly in the background really reflects the message of peace and tranquillity. 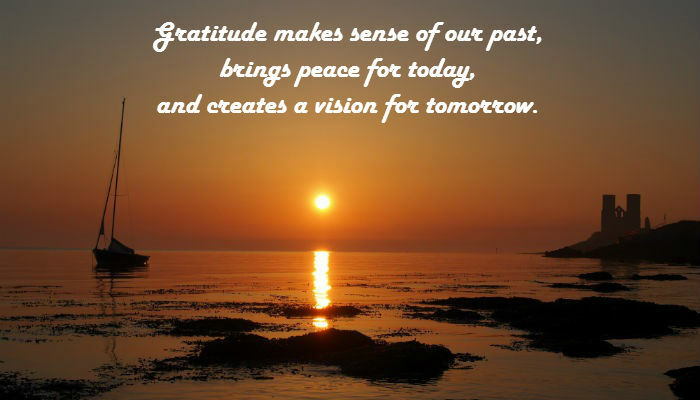 The message speaks volumes that we need to thankful for the past and present and look forward to a bright future. This nostalgic design makes you feel instantly at ease and peaceful. With the right piece of music, this could have such a strong feeling to your customer, showing your thanks and gratitude in a really thoughtful and dignified way. The image shows class and elegance along with the right message that you have true appreciation and respect for the receiver of this card. So whether you are looking for business ecards for the holiday season or to communicate grattude to a compatriot, eCO2 Greetings are the right team to help you.